🎉📗 The Wait is Over! Creatively Productive is HERE! 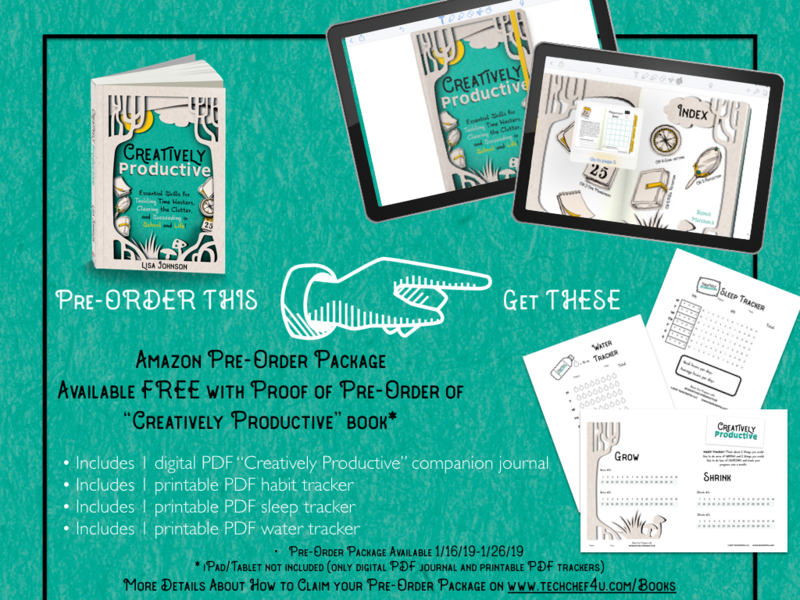 "Creatively Productive" Pre-Order Package and Digital Goodies! Good news! 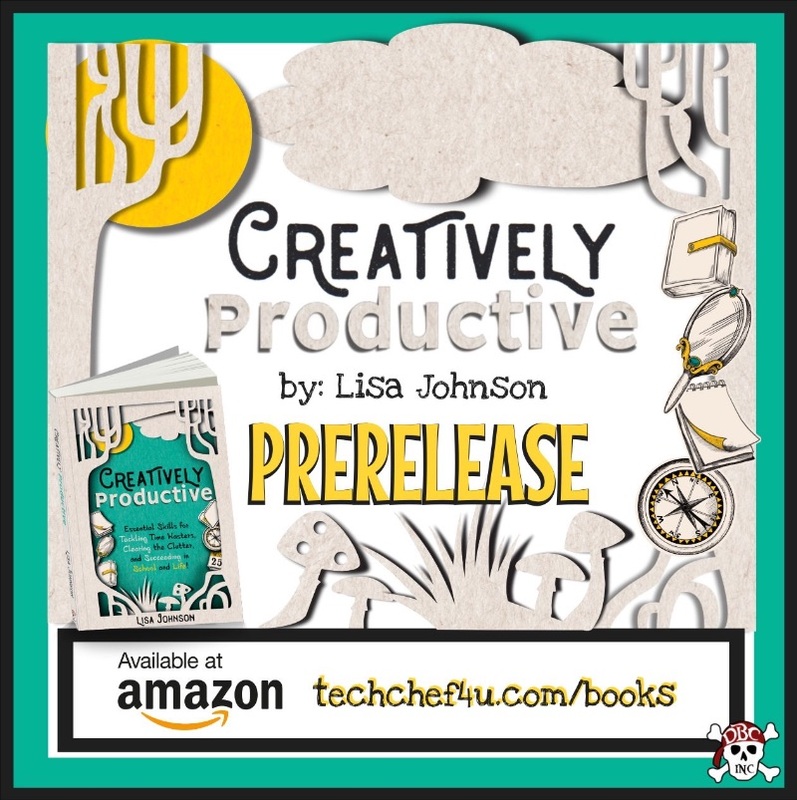 My second book, "Creatively Productive", is NOW AVAILABLE for PRE-ORDER on Amazon. 📗The book is designed for secondary teachers, librarians, curriculum specialists, and educational technologists alike. I feel so passionately about soft skills, social emotional learning, balancing analog and digital tools, and future ready skills AND they are all interwoven in this resource. 👍AND I should also mention there is very much a duality in the book... in that the majority of the content and ideas in the book can be used with students as well as professionally or personally. I am currently running a pre-order package (now through 1/26/19). It includes a digital PDF companion journal and 3 printables (a habit tracker, a sleep tracker, and a water tracker) that can be used right now. Pre-Order the Book: All you need to do is pre-order the book. Email: Then email me your receipt from your Amazon pre-order to techchef4u@gmail.com. Creatively Productive goodies: Then I will email you the "Creatively Productive" pre-order package of digital goodies. Creatively Productive Book Resources: Stay tuned for more resources to be added to the Creatively Productive book resource site. Creatively Productive People to Follow and Connect With: In the interim, visit my guide of 40+ people to follow. There are bullet journalists, planners, sketch noters, and so much more! Copyright © *|2014|* *|LIST:LIST_TECHCHEF4U|*, All rights reserved.